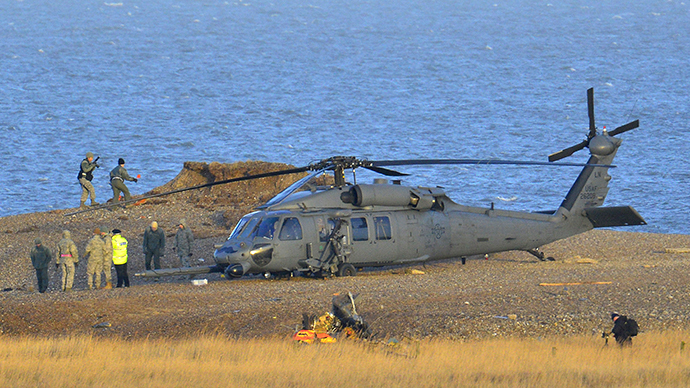 The US Air Force (USAF) confirmed one of its military helicopters crashed on the east coast of Britain. Four military personnel are believed to have died. 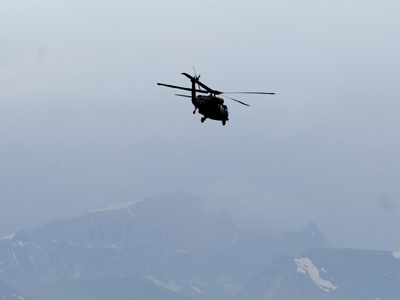 A US defense official told the AP on condition of anonymity that four USAF members aboard the helicopter were killed in the accident. USAF did not immediately confirm the deaths. The helicopter, which crashed over North Norfolk, was an HH-60G Pave Hawk, stationed at RAF Lakenheath in Suffolk. Local police in Norfolk County said they believed there are no survivores in the crash. "Sadly at this time we believe that all four members of the crew have died,” Superintendent Roger Wiltshire stated, adding that the "[crash] took place on land, but on the marshes, towards the sea." The four-member crew remain at the scene of the accident. The public is urged to stay away for safety reasons, but no one is currently in danger apart from the crew. RAF Lakenheath confirmed that the helicopter was on a training mission during the accident. 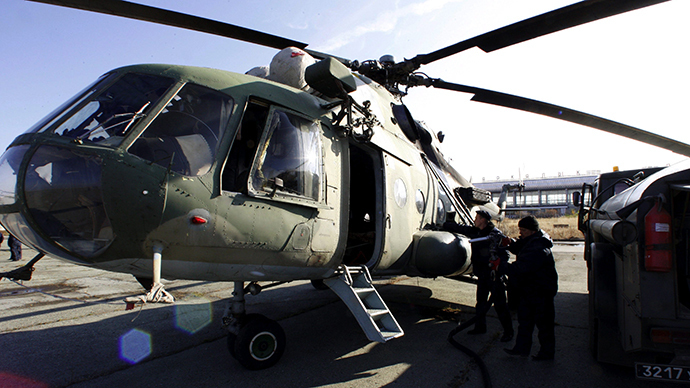 The base stations helicopters involved in international operations. “The aircraft, assigned to the 48th Fighter Wing, was on a low-level training mission when the crash occurred. The conditions of the four crew members are unknown at this time,” RAF Lakenheath stated in a press release. The RAF Lakenheath acts as a home to the USAF's 48th Fighter Wing, dubbed the Liberty Wing, which is part of US air support in Europe. The cause of the crash is still not clear. The chairman of Cley parish council Richard Kelham described the helicopter crashing in the middle of a bird reserve, according to the Guardian. Local emergency services are currently working at the scene in the Cley area and have cordoned off a 400 m area. 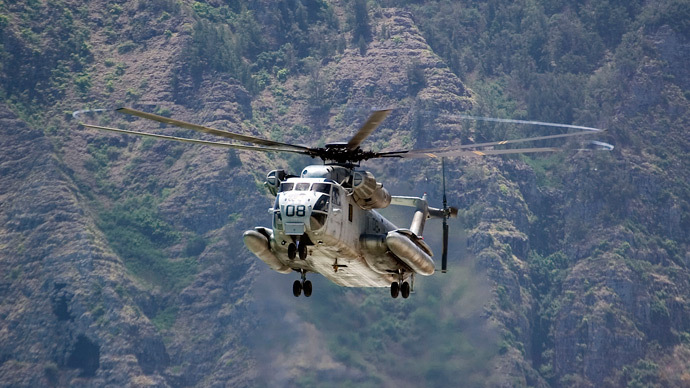 Police believe that there might be ammunition onboard the helicopter. 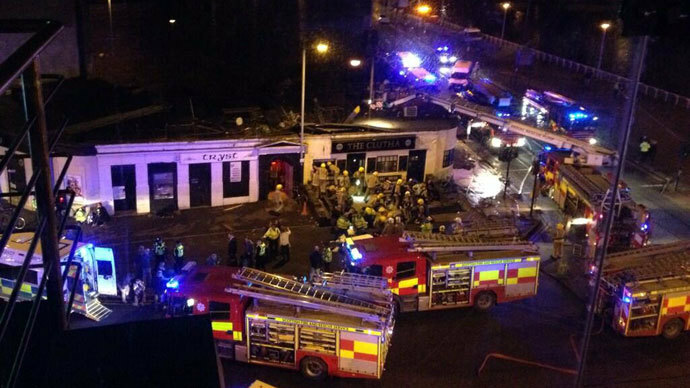 Norfolk Fire Service spokesman said first help arrived at 19:53 GMT. It was first believed that the helicopter fell into the North Sea. "We were asked for three lifeboats to respond,” a spokesman for the Royal National Lifeboat Institution said. "Crews from Wells, Sheringham and Cromer were launched at the request of the coastguard but were stood down when it was confirmed that the aircraft had come down over land."